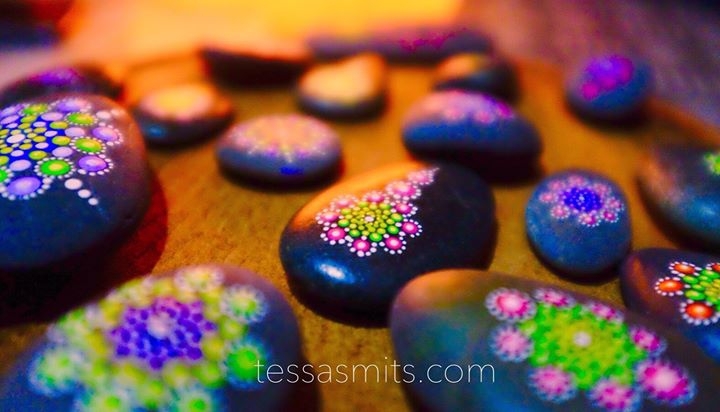 During this workshop I will tell you all about the process of Dot-Art Mandala stone painting. And most of all we Dot! You learn how to make the dots, how to make different Mandala designs and how to collect the right stones. And the lovely couple Monique en Christiaan welcome us at their restaurant with a coffee and sweets and after the workshop they serve us a delicious lunch with cava aperitif. I have to warn you! At the end of this workshop you have a new addiction in your life: Dot-Art. The workshop including painting materials & stones, coffee and lunch with cava aperitif is €50,- p.p.